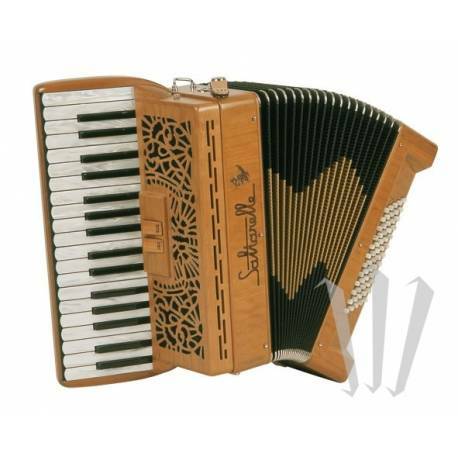 The Clifden is a premium quality, solid wood 2-voice piano accordion. 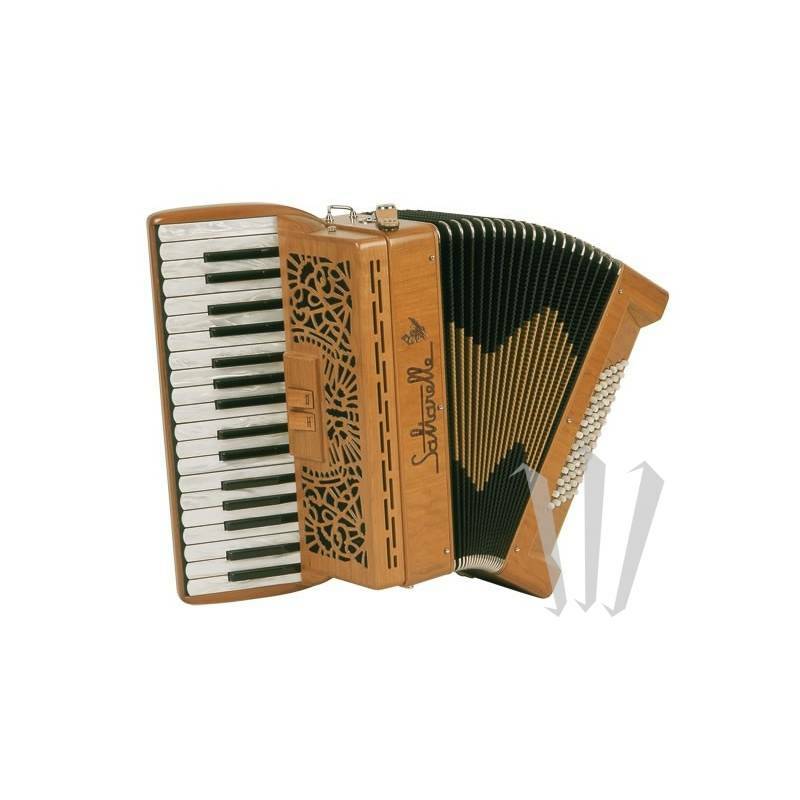 Finally, a compact, lightweight and top quality accordion available on the market! 2 voices or 2 couplers. 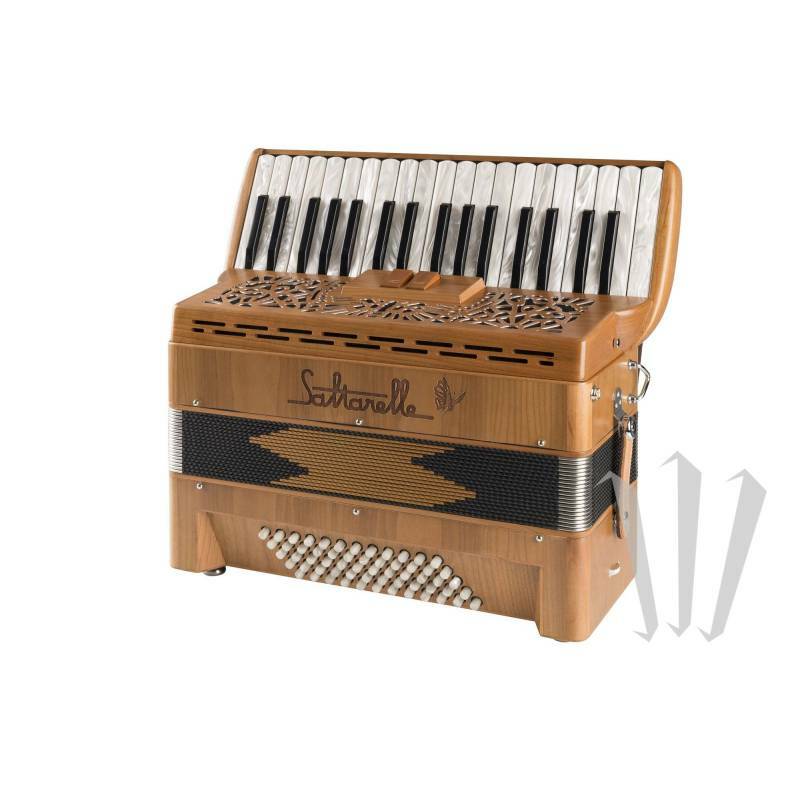 Left hand: 60 bass keys. Professional grade reeds (handmade), swing sound. Sold with straps and case (Free).